CCI is committed to customer satisfaction. 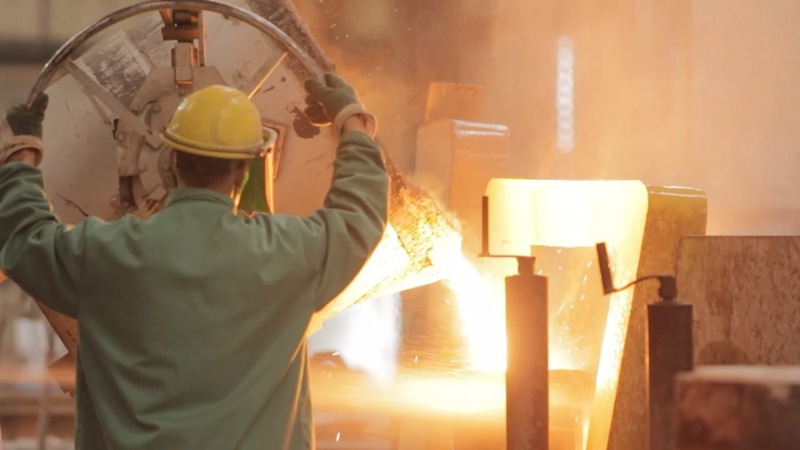 Our foundry operations are continually being updated to take advantage of the latest foundry technology. This committment to continual improvement has resulted in reduced costs and lead times for our customers. CCI maintains an extensive inventory of molds thereby eliminating the need for our customers to purchase, store, maintain and insure patterns. 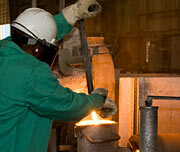 Our Quality Before a heat of metal is poured it must first pass a rigid quality inspection. A test sample or "button" is taken from the heat before it is poured. A modern optical emission spectrometer is used to perform a complete chemical analysis. The chemical analysis is part of the step-by-step quality check routine to insure that each casting meets our customer's specifications. Each "button" is tagged, cross-referenced and retained for future reference.